“I have created a church in the form of a rotunda, a work of new invention, not built in Venice, a work very worthy and desired by many. This church, having the mystery of its dedication, being dedicated to the Blessed Virgin, made me think, with what little talent God has bestowed upon me of building the church in the … shape of a crown”. Salute is a magnificent part of the Venice skyline sitting at the very end of the Grand Canal, opposite St Mar’s Piazza. For my part I found it more inspiring from the outside than the inside, which is a little sober and sombre. 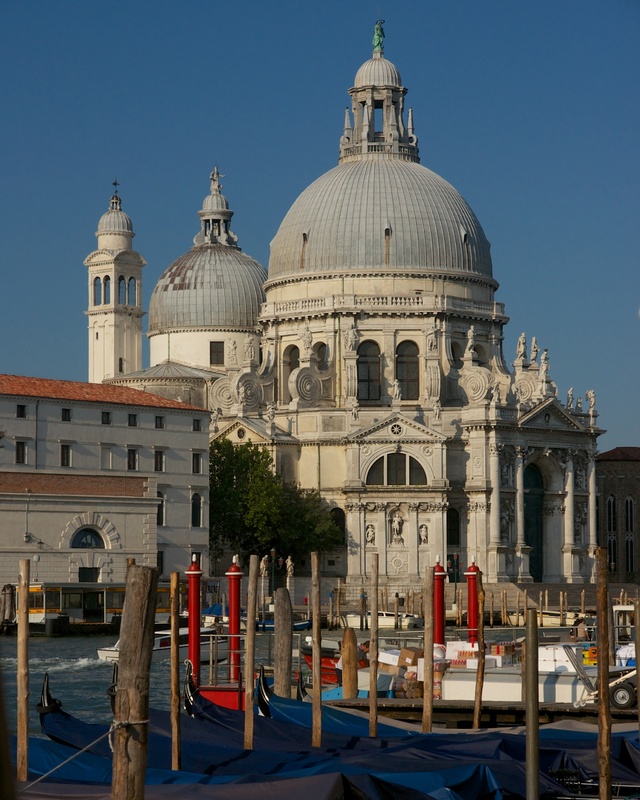 Posted in Architecture, Italy, Photography and tagged Baldassare Longhena, photography, Santa Maria della Salute. Bookmark the permalink.